When dreaming about Europe, most travelers imagine sipping café au lait in a Parisian café, wandering the streets of Rome or getting lost amid Venice’s canals. Sure, Europe is one of the world’s cradles of history, art and culture. But what about nature? Few tourists cross the pond in search of nature. After all, the United States has 59 stunning national parks, and many more wildlife reserves and protected nature areas. 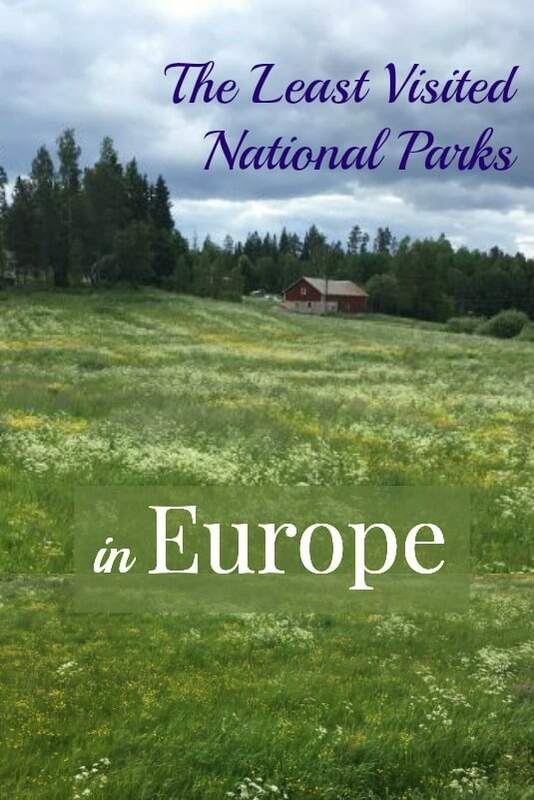 Well, I’ll let you in on the secret… Europe is blessed with some incredible national parks as well, offering an array of stunning landscapes, biodiversity and the opportunity to spot wildlife. And to make matters even better, you’ll find far fewer tourists there than around the major cities. If you avoid weekends and public holidays, you may even be lucky enough to have the place to yourself. 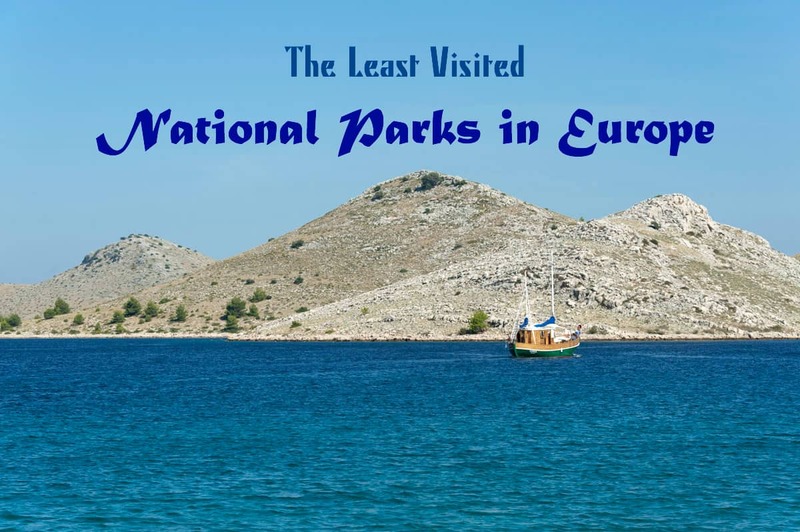 Here we’ve listed seven of the least visited national parks in Europe, which we’ve roughly listed from North to South geographically. But, needless to say, there are many more to discover! 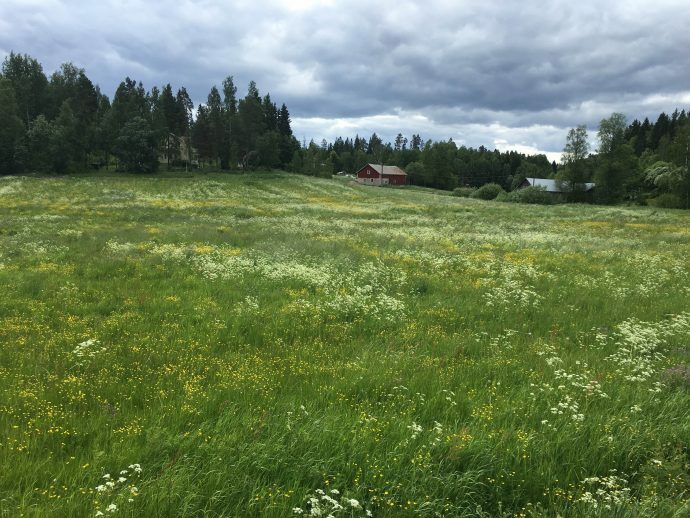 For being a relatively small country, Finland boasts an incredible number of national parks (39, and soon to be 40). The easiest to access from Helsinki is Nuuksio National Park, which is famous for its lakes and well-marked hiking paths. It’s a popular destination for weekenders from the capital. East of the city, not far from the airport, you’ll find Sipoo National Park, a wild stretch of pine and birch forest. This is the perfect place to wander around (trying not to get lost) with a map and compass, as mobile coverage is sketchy. You can also camp in Sipoo National Park and cook your own food, using firewood provided for free by the Finnish government. If you fancy a dip, there are several lakes to jump in. In winter, Sipoo becomes one of the best places for cross-country skiing, just around the corner from the capital. Wales is famous for its castles, hills and sheep. But did you know that the Welsh coastline is home to dramatic coastal landscapes, welcoming villages and a booming foodie scene? 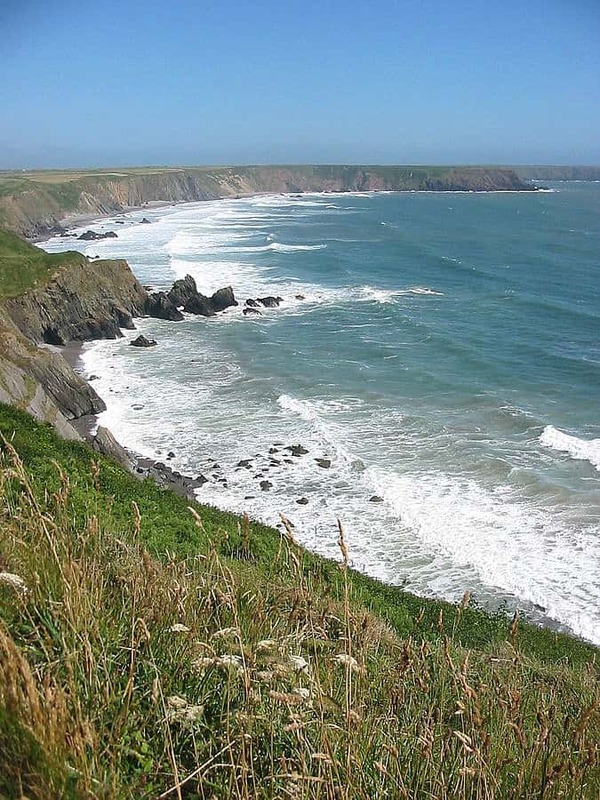 Pembrokshire Coast National Park is visited by just a few tourists every year– mostly hikers who come to walk the 186-mile long Pembrokshire Coast Path. The path is mostly at cliff-height, affording stunning views over the rock formations around the coast. Think arches, stacks and sea caves, pristine beaches with barnacle-covered rocks and seabirds. If you can, charter a boat and visit the islands of Skomer and Skokholm, which are home to seabird colonies. Stop for lunch in Dale, where the village pub serves excellent and creative fish-based dishes. If you like adventure and you’re not afraid to clamber up and down a slippery ladder over a waterfall, this is the place for you! Slovenski Raj means “Slovak Paradise.” It’s one of Slovakia’s nine national parks, located in the Eastern part of the country, not far from Poprad and the Tatra mountains. The area is rich in rivers and streams, which have carved the surrounding mountains over the centuries to create gorges and canyons with beautiful waterfalls. 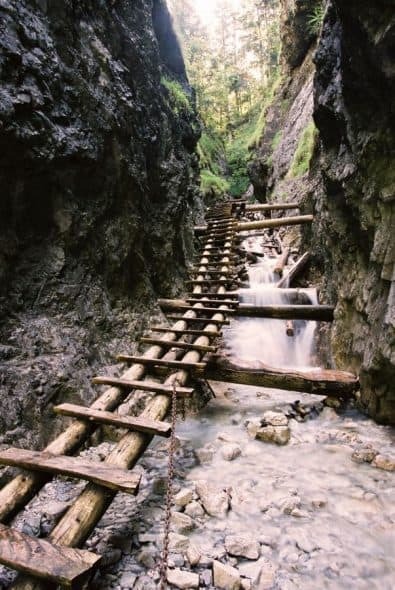 Hiking paths follow the route of these gorges, allowing visitors to trek their length via boardwalks and ladders over streams and waterfalls. It’s definitely an adrenaline-rush experience, especially after heavy rains, when the waterfalls are at their best. Climbers from all over Europe have known this place since the 1970s: Its limestone cliffs overlook the sea and offer perfect climbing conditions year round. The national park is located not far from the city of Marseille. Fear not, you don’t need to be a rock climber to enjoy this park. There are also miles of well-marked hiking trails, several caves, and opportunities for diving and exploring the coast by boat. The Abruzzo region is located in central-eastern Italy, between the Apennines and the Adriatic coast. It only sees a trickle of tourists (mostly domestic)s, which is surprising given the region’s proximity to Rome and its natural beauty. Abruzzo has been at the forefront of European ecotourism for decades. Nowadays you’ll find some of the best cycling paths in Italy here, as well as several opportunities for nature-based tourism. 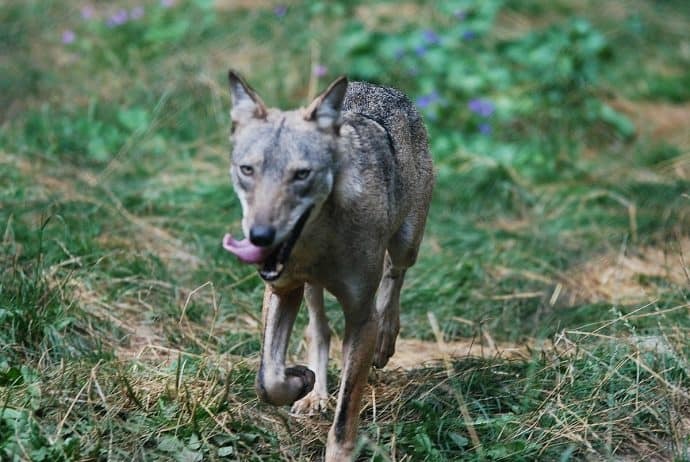 Abruzzo is one of the oldest National Parks in Italy, created to protect wildlife such as the Italian wolf, Marsican brown bear, Abruzzo chamois, Eurasian lynx and others. Wildlife tours are on offer, and there are also opportunities to hike the surrounding mountains and climb the Apennine peaks. 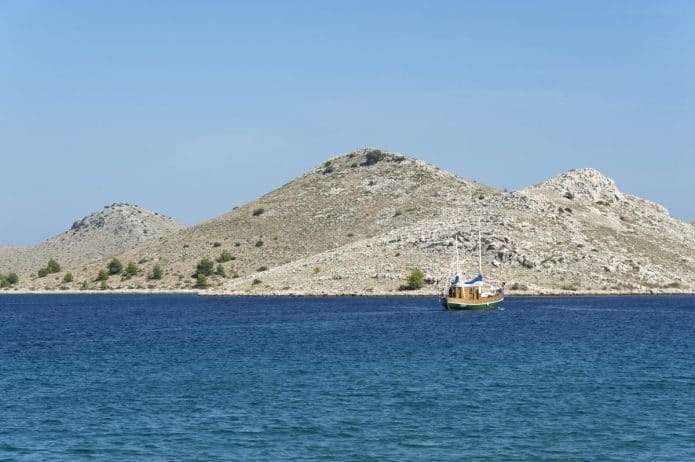 The Kornati archipelago has been called “a sailing paradise” by those in the yachting world. 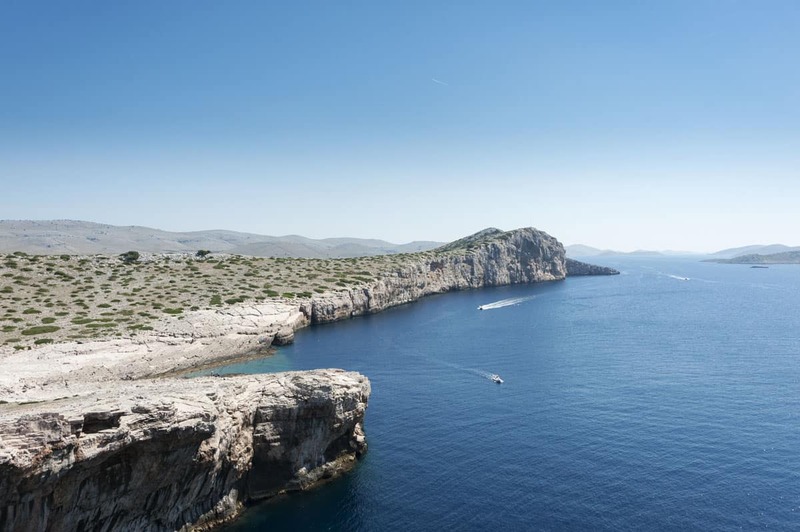 Located not far from the coast of Zadar, Kornati National Park includes 140 islands in an area that is only 35 km long, making this the densest archipelago in the world. The best way to explore the archipelago is by chartering your own sailboat. That way you can spend as many days as you want hopping from one island to the other, sampling delicious seafood at local konoba and swimming in the clear Adriatic waters. If your budget doesn’t stretch that far, you can always join a group boat tour from Zadar. 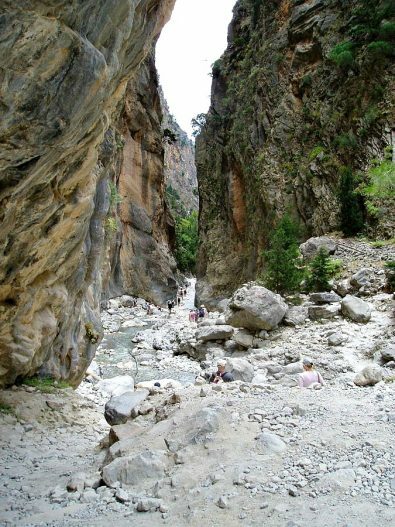 A hike across the Samaria Gorge in Crete is a great way to get away from the crowded (but beautiful!) Cretan beaches for one day. The gorge was created by a small river running through the mountains in the southwestern corner of the island. The path that traverses it starts at 1250 meters above sea level and ends on the coast, 18 kilometers later. The most dramatic section of the hike is the “Gates,” where the gorge narrows to a width of only 4 meters between 300 meter-high cliffs. Walking through it gives you the feeling of entering a forbidden world. Samaria National Park was created primarily to protect this fragile ecosystem, and to provide refuge for the kri-kri, an endemic Cretan goat, which can sometimes be seen munching on grass along the cliffs. –Margherita Ragg; photos by Nick Burns unless otherwise noted. Margherita Ragg is a freelance writer from Milan, Italy. 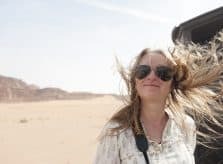 She’s passionate about wildlife, ecotourism and outdoor activities, and runs the travel blog The Crowded Planet with her husband Nick Burns, an Australian photographer. Margherita has an MA in Travel and Nature Writing from Bath Spa University, and was runner-up to the 2012 Guardian Travel Writer of the Year competition. Her other passions are rock climbing, skiing, homebrewing and her cat, Tappo. 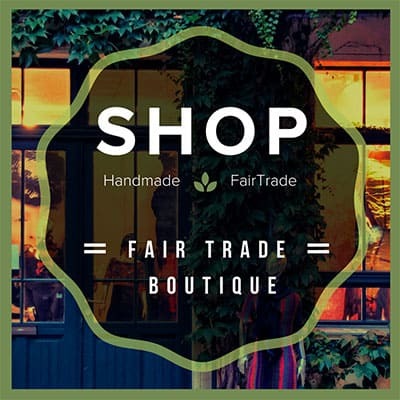 Follow Margherita on Facebook, Twitter, Instagram and Pinterest.